With incredible computer-generated artworks, The Skeleton Book shows how truly amazing our internal scaffold is from skull to toes. See how the skeleton’s flexibility makes the body supple and agile while providing support and strength – did you know that gram for gram bone is stronger than steel, while being five times lighter and ten times more elastic?! 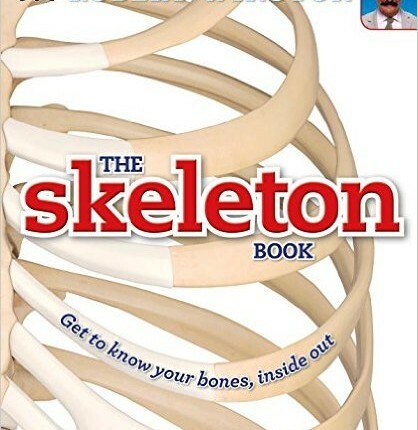 The Skeleton Book compares key parts of the human skeleton to animal skeletons to show how and why our unique skeleton has evolved to be the shape it is. Then you can compare your own body to the pull-out life-size poster of the whole human skeleton! Perfect for ages 8 – 13.